Members are currently offered next business day for delivery on all orders, with an additional Saturday option for orders placed between 1pm Thu and 1pm Fri. This update means you can now select from any day in the next 7 days with a valid delivery option, including the next available Saturday. For example, orders placed by 1pm Tuesday will now get delivery options on the following Wednesday, Thursday, Friday, Saturday, Monday and Tuesday where available. 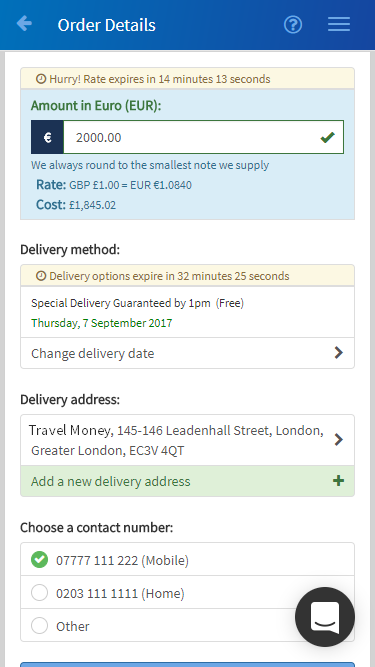 When you checkout an order, you are offered the next business day delivery option by default. Following this update you will also be offered the option to “Change delivery date” to any day in the next 7 days with a valid delivery option. You can use any remaining free deliveries on each of the available standard business days, not just the next one. 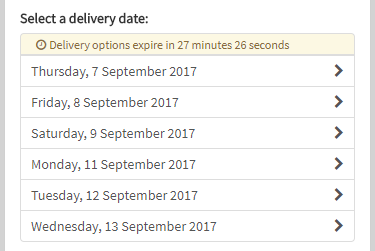 You can change the delivery date as often as you want before the delivery countdown expires and the available options are reset. Just hit the “Change delivery date” option again. We will not show any otherwise valid delivery days which are a public holiday in the country of delivery. We despatch from a distribution centre based in London so our 1pm cut-off for delivery options is also affected by public holidays in England.